A few days ago, I shared Part 1 of my interview with Anna Patrick, a public relations professional and author of the popular blog, Meditations In Wonderland. (Missed Part 1? You can read it here.) The second and final part of our Q&A is now live. In Part 2, the subject is incorporating mindfulness into your workplace/career path. 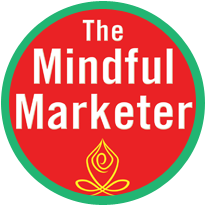 We discuss what 20-somethings (Millennials) can take away from The Mindful Marketer, and how they can maintain their mindfulness/meditation practices upon entering the job market. I also share how you can tune into your intuition to discover what the ideal job for you is. You can read the interview here. What are some ways you incorporate mindfulness/meditation practices into your career?